Softening and refreshing natural wet wipes based on Aloe Vera, containing a unique gentle cleansing formula ideal for removing dirt and impurities from the skin. These wet wipes gently cleanse, soothe and refresh the skin at the same time as leaving it feeling smooth, replenished and luminous. 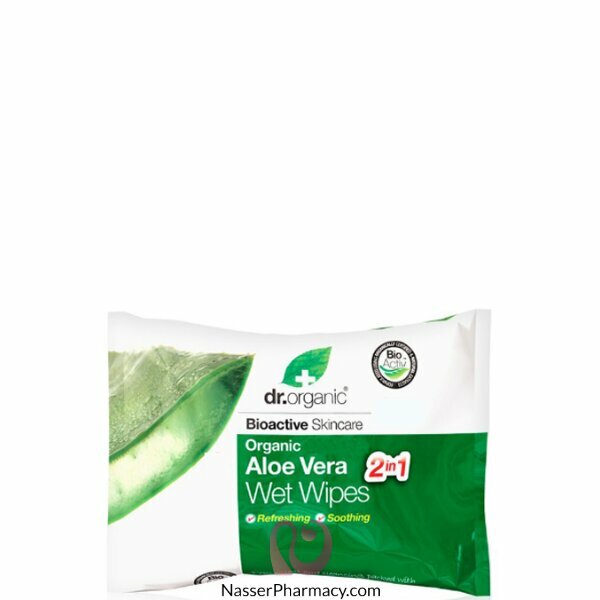 Dr.Organic wet wipes are conveniently packed so you can take the wonderful benefits of Aloe Vera everywhere.